Sarah and I love a luxury spa. In fact, I’ll confess – my name is Terry and I’m a spa addict. As we travel around the world we encounter many fascinating cultures and beautiful destinations, but after a hard day’s exploring there is little I like more than relaxing in a sumptuous luxury spa. No matter where we are in the world I always manage to find my spiritual spa home. So it was a joy to discover plenty of spa treats in Ras Al Khaimah. 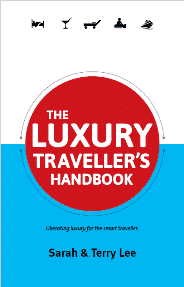 This region of the United Arab Emirates is relatively new on the tourism scene, but is making a name for itself as something of an affordable luxury destination. One of the things we hadn’t expected however, was two very different spa experiences, yet some of the best we’ve had anywhere in the world. And at very affordable prices, it has put Ras Al Khaimah on the agenda for us for a quick spa break. It’s just a short flight with Royal Brunei Airlines from London, via its neighbouring state of Dubai – read more here on how to travel to Ras Al Khaimah. Our first rejuvenating stop was at the spa centre of the Hilton Resort & Spa Ras Al Khaimah, where we were staying. 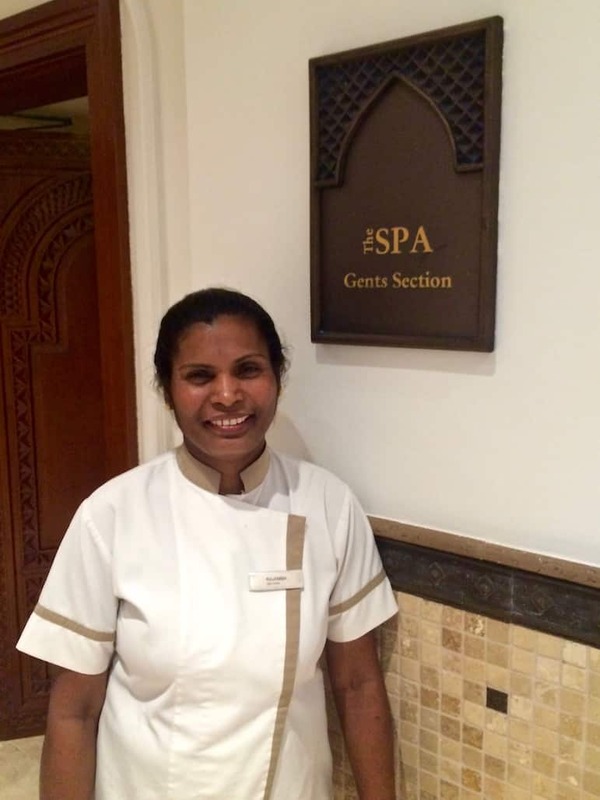 Entering this oasis of relaxation and indulgence, we were greeted by spa manager Marcia Silva and her team. We perused the extensive menu of treatments while sipping a cool drink, and it became clear that delivering customer satisfaction was high on their list of priorities. Sarah didn’t take long to make her mind up and enjoyed an hour long hot stone massage. However, I think chose the pièce de résistance in the Hilton’s offering. My selection was the delectable Moroccan Oriental, two hours of pure indulgence. It comprised of a hammam treatment with a one hour Moroccan scrub and traditional soaping. This was then followed by a 60 minute relaxing massage. My exceptional therapist Rajama Kunjachan led me into a heated wet room with a large marble slab table in the middle. Here I lay as she poured bowl after bowl of warm water over me before gently scrubbing me down with Ghassoul mud and again dousing me with more warm water. After opening my pores in the steam room for ten minutes, I returned to the slab for another soaking before being washed with a Moroccan loofa and soap made from natural olive oil extract. I was cleansed more comprehensively than I had ever imagined possible. Thoroughly clean, soaking wet, but surprisingly relaxed, I dried off, before being taken to a massage room. Here once more Rajama’s skills were put to good use, as a delightful massage ensued. My senses floated on wave after wave of sleepy relaxation as my mind closed down and my body was pampered into a heavenly slumber. A blissful massage was had and my two hours of delight was over all too quickly. So impressed was I with my treatment that I chatted with manager Marcia afterwards, who told me of her philosophy for the spa. She explained that for her a good spa experience is not good enough. All guests must have a great experience as a minimum. And to ensure the highest standards, she insisted that before any of the therapists worked on clients they try their skills on Marcia first. Only once she considers their work good enough, will they be allowed to work with spa guests. If we take our treatments as a guide, Marcia’s philosophy is succeeding exceptionally well. Our next spa adventure was deep in Ras Al Khaimah’s desert at the multi-award winning spa of the Banyan Tree Hotel Al Wadi. 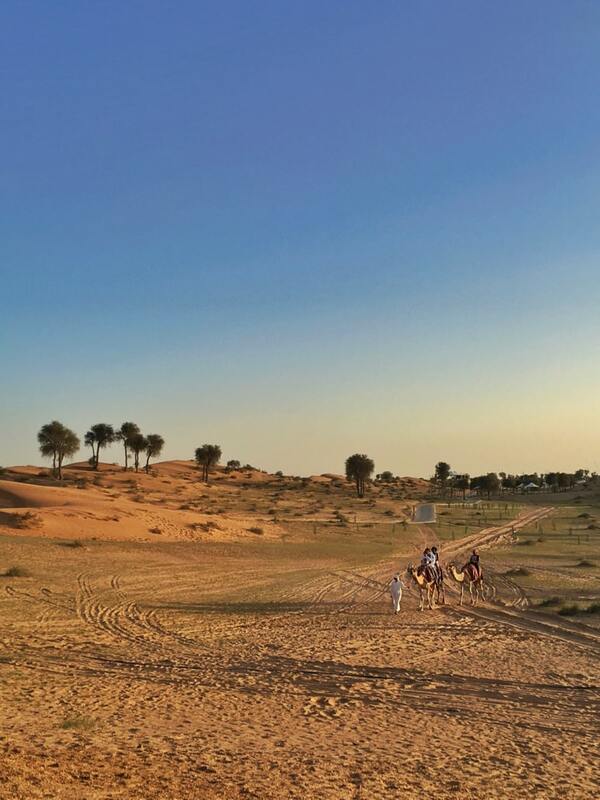 Set amid the Arabian desert, this oasis of restorative relaxation was a real treat. At this calming refuge, secluded by the desert sands, we launched ourselves into its signature rainforest experience. 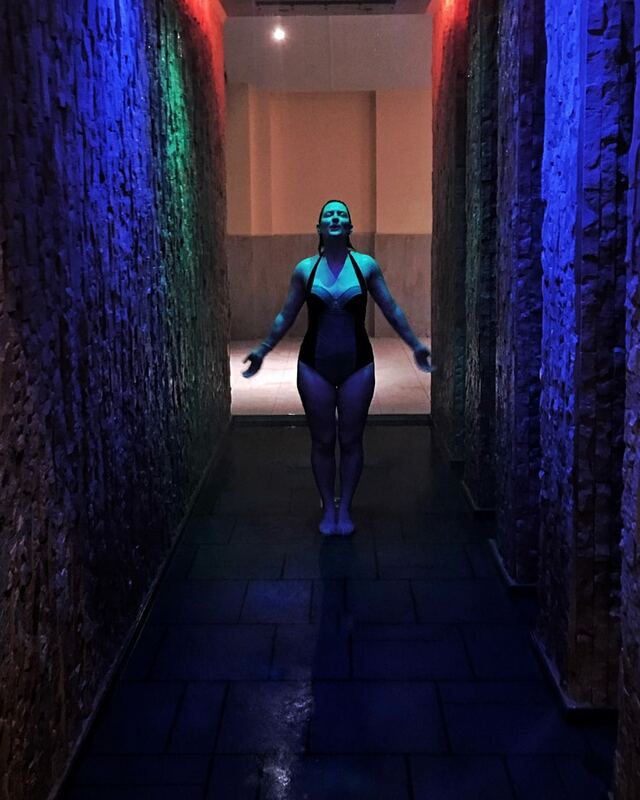 A range of hydrothermal therapies helped soothe and revitalise our bodies. 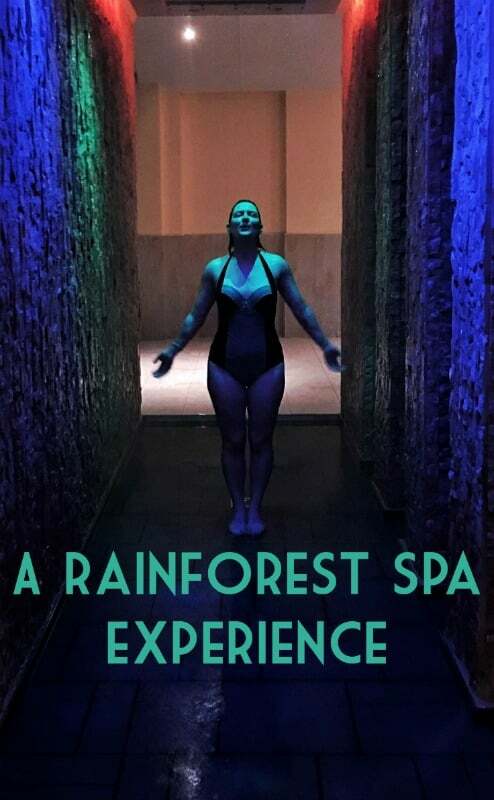 It started with the kaleidoscopic colours of mist and water cascades which gently increased and decreased our body temperatures in preparation for the heat and ice spa experiences to come. 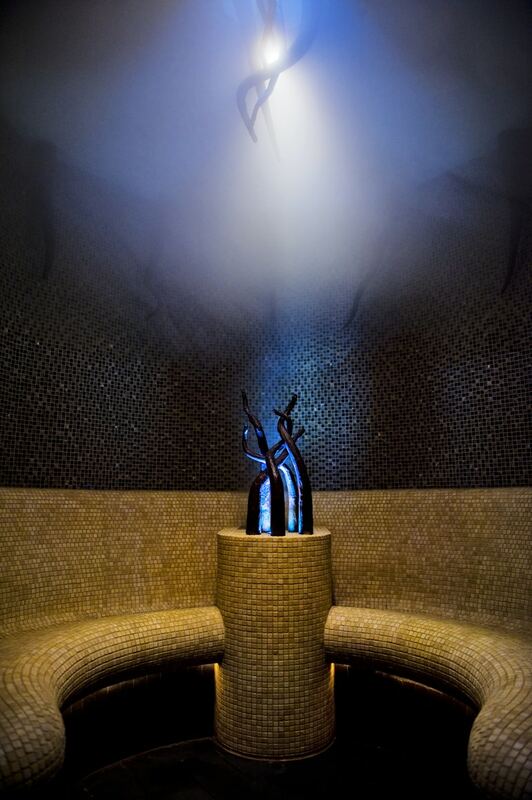 The journey continued into two aroma steam rooms, which help to detoxify as well as improve circulation. Then onto the brine cavern where a combination of steam and salt aimed to purify the body. My least favourite part came next as I braced myself under a drench bucket of cold water, I was informed it was good for me, but my sharp intake of breath and mild expletive-laden outburst told me something else. However up next was the grotto steam room and herbal sauna which both provided a welcoming warm up. But all good things must come to an end and it was next back to the colder elements, an igloo, where we rubbed ourselves down with ice, again being told it was good for us. However, the next element was a salt scrub and that was not too bad and left the skin feeling very smooth. After more showers and a sauna, we entered the vitality pool. 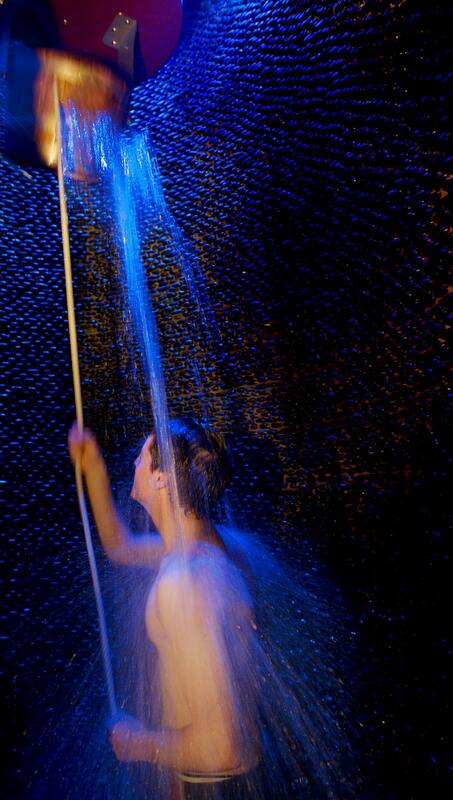 There we immersed ourselves into the warm water surrendering to acupressure jets and waterfalls. After the experience we were brought a delicious cup of lemongrass and honey tea to finish off the day. I wasn’t sure what to expect from the rainforest experience, but I was not disappointed. It was different and enveloped many spa elements into one trip, Ras Al Khaimah revealing that although it’s a new destination for travellers, it already has great luxury spa options. Those spa experiences sound incredible. 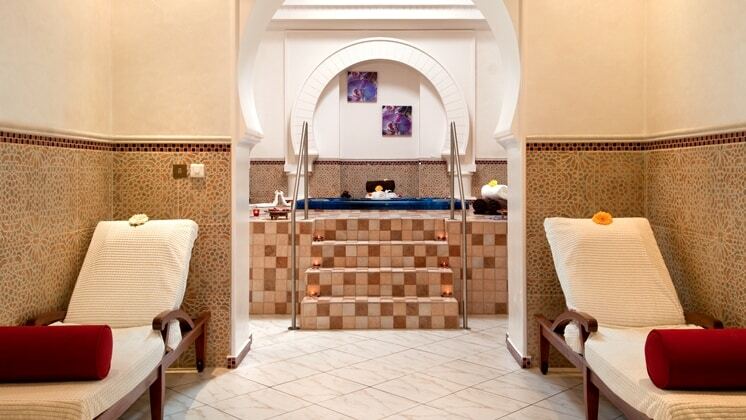 I fancy a hammam now! They were fabulous Jayne, so don’t deprive yourself when you get the chance to indulge.